Playing online slots is really easy, great fun and, if you get lucky, potentially hugely profitable too. Playing online slots is really easy, great fun and, if you get lucky, potentially hugely profitable too. If you don’t know where to start and have never used an online or mobile casino (or an offline one for that matter) or you have never played a slot of any description, we’ve got everything you need to know to get started with playing and enjoying slots. Let’s start right at the very, very beginning then, shall we. “Slot machines” are what they are called in Vegas (and the US generally) and this is usually shortened to just “slots”, which is the most commonly used online name. The slang term “one-armed bandit” is also common in the UK, harking back to early machines that had a side lever that initiated the machines’ spins but, call it what you will, slots are a major part of a casino’s offering, be that online or in the “real” world. Well, first things first, if you aren’t even sure what we mean by a slot, you should note that they the same thing goes by many, many different names all over the world. In the UK “fruit machines” are generally found in pubs (though sometimes called “puggies” in Scotland), whilst in Australia “pokies” are found in pubs, bars… just about everywhere in fact. Slots are essentially a particular type of casino game that involves (usually) between three and five spinning wheels. Players win by matching symbols on relevant paylines, and whilst early slots had just one payline, running horizontally through the middle of the reels, modern slots can have up to 100 or more, offering the player multiple chances to win. Slots began longer ago than, perhaps, you might imagine, with a Brooklyn firm reportedly creating the first ever slot machine way back at the end of the 19th century. The early machines looked a world apart from and played very differently to today’s amazing online video slots and were mechanical, rather than electronic. The first slots paid out manually, with, for example, prizes of a beer or a cigarette being paid by the bartender rather than automatically by the machine itself. The first machines were poker based and because of the large number of possible winning hands and limited technology, automated payment was not possible. However, in 1907 a simpler slot machine, using symbols rather than cards, was created and these machines became hugely popular in bars, bowling alleys, barber shops and even brothels. Little changed for a long time until the 1960s when slots started using electronic mechanisms to spin the wheels, signalling the beginning of the end for the manual lever that gave slots the nickname one-armed bandits. These machines had automated payments up to a much higher level and in the 1970s another huge advancement came with the advent of the first “video” slot. In 1976, using a modified Sony TV, a Las Vegas company created the first ever video slot, whereby the screen itself was electronic as opposed to the physical reels that had gone before. It was not until the mid-1990s that games then made the next major advancement, with the introduction of much more intricate gameplay involving bonus rounds on a separate screen and, of course, the advent of the Internet and online slots. Nowadays, we have 3D and even 4D slots, as well as incredible graphics, detailed narratives and big film and comic tie-ins that make today’s slots look even more like films. What’s more, these wonders of online gambling are now available in your pocket, thanks to mobile slots. Nowadays, most online casinos offer their best slots on all modern mobiles and tablets with very little loss in quality, neither of graphics and sound nor gameplay and stability. We have certainly come a long way from the rickety machines in a backstreet bar offering up a free whisky! Playing online slots really is very, very simple and whether you play on your desktop, a mobile phone or your tablet, you should soon be able to master playing these fun games. The first step is to open an account with a reputable online casino and at that point accessing their range of slots should be easy. 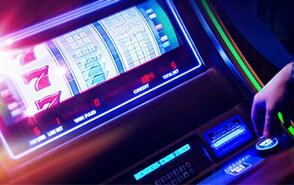 Most of the sites offer demo/free play options, meaning you can even play the slots without risking your own cash. This gives you the chance to get to grips with the basics whilst playing in a “just for fun” mode. Most slots feature 3 to 5 or, sometimes, 6 spinning reels, or rather, a video representation of moving reels. There are 3 or 4 positions on each reel where the symbols appear, so online slots typically have a reel structure of 3×3, 5×3, or 5×4. This is important for the number of paylines in the game. The payline is the line on the reels where three or more symbols of the same kind need to land after a spin in order for the player to win. Traditionally, these sequences of symbols run from left to right and can be horizontal, diagonal, or in V, W and other shapes. There are also video slots where paylines are referred to as win ways as they are not specific lines on the reels but rather, combinations of symbols that appear on consecutive reels in both directions. Once you have decided on a particular slot to play, you may be faced with a choice on how much you want to bet on each spin. The total amount you bet on each spin can be affected by a number of things, namely the number of paylines you want to bet on, the number of coins you want to stake on each line and, sometimes, the value of each coin. Usually, you can bet from 1 to 10 coins in a wide variety of denominations. In order to actually start the game, you simply need to click on the Spin button and the reels will start spinning. If a winning combination has appeared when they stop, you receive the payout corresponding to it. Note that every slot game has a detailed pay table where you can see how much you receive for each combination of symbols. As well as deciding which game to play and how much to bet per spin, there are a few other options and decisions to make along the way. But as with all things slots-related, it is all very easy and straightforward. One such option using the Auto Spin feature which would allow you to enter anything from five to 100 auto spins, or even to keep spinning until a certain outcome, such as a big win or a bonus round “hits”. This is a good way to save time but it is also quite useful when you are using the slots to clear a bonus. You can set a certain number of auto spins and actually leave the browser and pass your time doing something else. Some games also have a Gamble feature, which is activated after a winning spin. You can gamble your winnings from the current spin by trying to guess the colour of a playing card. Win, and you will double your money, but if you lose, you will lose the gambled amount, too. Other options that older slots lovers may expect are as nudges (moving the reels down one step at a time after an initial spin) or holds (holding one or more reel whilst spinning others). They are generally absent from online slots, although some retro versions may still have these. On a modern slot, however, your only other actions will be to play the bonus games or rounds that may come up if you get lucky and enter one of the extra features of the game. In most classic slots with only three reels and up to three paylines, you cannot expect anything special or out-of-the-ordinary to happen. But that is exactly the case with many modern video slots where some of the symbols have additional functions, apart from forming winning combinations. The first type of special symbols that may appear in slots is called a Wild symbol and it works just like wild cards in can be counted as any other card in poker and other card games. In slots, Wilds function as substitutes, transforming themselves into any other symbol whenever they appear on the reels. They would actually substitute for that particular symbol that helps form the highest paying combination. With Wilds, landing a winning combo is much easier. In addition, there are various types of Wild symbols in each game and they can appear in twos or threes at a time or remain in the same position for several spins. Wilds could also expand on the entire reel and sometimes, they could also cover all reels, generating attractive payouts. There is another special symbol that typically cannot be substituted by a Wild and this is the Scatter symbol. Its name clearly indicates how it performs – in order to form a winning combination, the Scatter symbols do not have to land on a particular line. Instead, once three or more symbols of this kind appear scattered on the reels, the game pays out the respective amount of money. Scatter symbols have an additional purpose, however, triggering free spins or bonus rounds. Most video slots have the option for players to activate free spins. This is a common feature where you can receive anything from three to a hundred free rounds on the game. Free spins can be triggered randomly, which is quite rare, or upon landing a specific combination of symbols on the reels. Usually, this happens when several Scatter symbols appear and depending on their number, you receive a certain number of spins where you wager nothing. Free spins are often accompanied by multipliers that double or triple (or more than 10x) the winnings of these free rounds. For an even bigger adrenaline rush, players should look for slots where the free spins feature can be re-triggered by landing another set of Scatters or some other type of special symbols. Furthermore, some games allow you to activate an unlimited number of free spins. Another very exciting feature in many 5-reel slots is the bonus round. While some games refer to their free spins feature as a bonus round, most slots have separate games within the game. Bonus games are typically triggered by either special Bonus symbols or by Scatters and in many cases, they offer a guaranteed payout. The greatest thing about these extra games is that they come in various forms, types and styles. Sometimes, players are presented with a wheel they need to spin to get a cash prize, while other times, they activate the so-called “pick and win” or “pick and click” games. This is a simple game which offers you a set number of items and you need to choose three, five or even more. Cash prizes, multipliers or even free spins are hidden behind each of item. Many of the leading game software developers have introduced even more intricate bonus games within their slots. These are arcade-style mini games that resemble video games in some cases and once you open them, you need to complete some mission in order to win – collect coins in the sky by jumping to them, shooting alien spacecraft, building a castle, etc. Often, these bonus games have different levels you need to progress through in order to win a huge jackpot. Sometimes called a pay schedule or a chart, the pay table is a list of payouts in various casino games such as slots, video poker, or roulette. When playing slot games, casino patrons should not have difficulties understanding the pay table – it features the payouts for every winning combination, as well as all Wild and Scatter symbols and how they function in the game. The pay table also includes information about the activation of free spins, bonus games, or progressive jackpots. The payout for each combination is represented as the amount of coins the player receives for a win. In order to calculate the exact amount of money you will receive, you need to multiply the win from the pay table to the line bet, or the amount you have wagered on one payline. Players should always read the pay table of a game before they open it, since this is one of the most important features in it. It shows which symbols pay the most and how you can win really big. This, of course, depends only on the individual’s luck, as some would call it. Professional players call it randomness. All online slots, provided that the casino where you play is a respectful and legitimate one, are based on a special piece of software called RNG, short for Random Number Generator. As suggested by its name, it generates random numbers that correspond to different symbols and positions on the reels. By utilizing RNG, online and mobile casinos ensure that the outcome of each and every spin is completely random. This means that each spin is entirely independent by the previous and the next one. It is theoretically possible, therefore, to win the jackpot two times in a row. Following the same logic, losing two, five or even a hundred spins in a row is perfectly possible. There are various myths associated with the way slots pay out such as the hot or cold slots, or the belief that a game is due to pay because it has not hit the jackpot for a long time. These are all misconceptions that many players still believe although today, there is a lot of information you can find about slots or any other type of casino game. Due to the presence of RNG and the unwillingness of game developers and casino operators to disclose any more information than what is absolutely necessary, we do not know the odds of slots. Without them, it would normally be impossible to know yet another essential thing, the house edge. The information mentioned above, namely the payouts and the probability of each outcome, are instrumental in calculating the chances of winning at slots. As explained, the odds of slot machines are rarely published. What we usually have access to is the average return of these games. You will find it in online casinos represented as a percentage and referred to as Return to Player (RTP). It indicates how much of the entire bet a slot game would return to the player in the form of winnings. For instance, most online slots have an RTP between 95% and 97%, which means that if you wagered £100 in the past hour, you could expect to win back £95 or £97, respectively. What many players do not understand, however, is that this percentage is true when we take thousands of spins into account, possibly the spins throughout the entire “life” of the game. There are many video slots with really high RTP that can reach 99.90%, but there are even more games with a return of around 92% or much less. 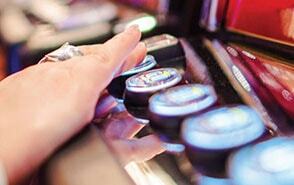 The average return of slots in land-based casinos, however, could be much lower. 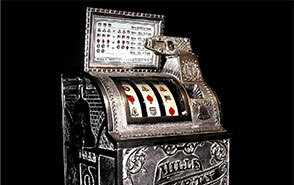 In Nevada, for instance, the minimum RTP for slot machines is 73%, while in Mississippi it is 80%. What is then the house edge? This is a term even those who have never set foot in a casino would have heard. The house edge and the RTP are the two sides of the same coin, if a slot has a return of 97.5%, then the house edge would be 2.5%. The casino always has the advantage in slots, in particular. This is why it is almost impossible to win while playing slots in the long run. How to Improve Your Chances of Winning at Slots? Considering slots are completely random, is there a way to improve the chances of winning? Or is it a waste of time and money? Experienced casino players would probably have a quick answer to these questions – it is impossible to change the odds of the game and you are more likely to lose than to win. While this is true, there are a couple of other considerations that actually make slots the most popular casino game. First of all, slots can be exceptionally entertaining and secondly, some of them offer players the chance to win millions with just a £2 bet. However, some slots are better than others in terms of what they would pay. Not all online casinos publish the RTP percentages of the game they offer. This is why it is recommended to always check for good casinos that would clearly display the return of every game. Often, simpler games have a higher payback. Another thing players can do to choose the best slot is to see whether it is a high, medium or low variance game. This has nothing to do with the RTP but rather, variance indicates how often the game pays out. High-variance slots are high-risk, as well, because they hit winning combinations less often while the potential winnings are massive. Low-variance slots, on the other hand, offer small wins more often, while sometimes, you could expect some medium wins. Playing medium-variance slots makes the most sense for most casino enthusiasts. When playing slots for real money, players should also try to make the most of the game and look for slots with multipliers, wilds, scatters and a free spins feature. Claiming a casino bonus is also a great idea, depending on its wagering requirement (it should not be too high) and other conditions. Bankroll management is crucial – players should come up with a set budget and a maximum amount they can afford to lose. It is also a good strategy to determine a daily target for your winnings so that you can stop playing while you are winning. Last but not least, players should always wager slowly (as slowly as possible) and carefully choose the bet size to avoid losing too much money in a very short time. It is also essential to adjust your bet size properly when playing progressive jackpot slots. These are among the most popular types of casino games due to the constantly increasing jackpot, much like in lotteries. Although progressive jackpots are highly unlikely to hit, they eventually do but only if the player places the maximum bet. There is a huge variety of online slot games available right now and with the classic three-reel slots and the more modern ones that feature five or sometimes six reels, there are plenty of other types that bring players even more excitement and some extraordinary prizes. You could find titles inspired by movies, TV, music and books, as well as slots with intricate storytelling, unique characters, and amazing soundtracks. Slot games with multi-level bonus rounds are extremely popular, as are games that feature expanding Wilds and free spins. But the diversity does not end here – there are many interesting online slots with 3D visuals, unusual reel structures, or progressive jackpots that could make you a millionaire within seconds. A large number of slots with the unusual 243 ways to win have been released in the past few years, allowing players to land combinations not only from left to right but in both directions. Some gaming studios, however, took that idea to another level, creating games with the staggering 1,024 winning ways, while NetEnt did the impossible with their 5-reel Reel Rush slot. It comes with 243 ways to win but with every consecutive win, more reel positions are unlocked. Once you win 5 times in a row, you will play with 3,125 ways to win and 8 free spins to top it all. Another untraditional, yet very exciting type of reels, is the so-called cascading or falling reels. Instead of spinning reels with symbols on them, here we have symbols that fall into place. When they form a winning combination, they will explode, making space for new symbols to fall. This continues until there are no wins. There are also games with a unique layout such as hexagonal shape for the reels. In slots such as IGT’s Siberian Storm, you have 5 reels and a different number of rows on them that create a diamond shape. 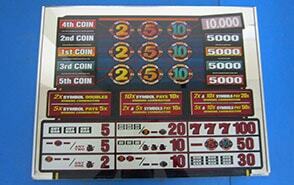 Technological development in the past decade made it possible for introducing 3D effects into slot making. Today, most of the leading software providers have impressive lineups of 3D slots where some or all aspects of the games are three-dimensional. The animations are of exceptional quality, resembling big-budget animated films. Recently, IGT has introduced games with an additional dimension to them, making them 4D. They are offered at several casinos in the US and feature a 3D glasses-free visual display where game symbols can float. Moreover, players can reach out to them in the middle of the air and actually touch them – move, swipe and spin them. They can also draw figures in the air and fully interact with the game. The sensation of touch is what really strikes the player an according to the gaming company, it was created by generating focused high-frequency ultrasonic sound waves. Progressive slots, also known as jackpot slots, are slots that are interlinked across a network of casinos, usually according to what software company they are powered by. 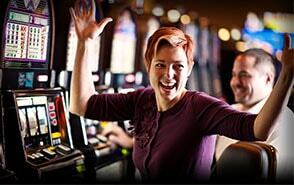 Because they are linked to other games and casinos they can offer up huge – and we really do mean huge – jackpots. Every spin on every linked game will contribute a small amount to one shared jackpot prize pool and when any linked slot hits that jackpot they will scoop the entire pool, which can run into the tens of millions of pounds! Imagine £10,000,000 and more!! The chance to grab life changing, lottery-style prizes for just a very small outlay is what makes these slots so appealing. In just a single spin you can become a millionaire and that excitement and thrill keep people coming back to progressives. If you prefer regular small wins they may not be for you, as the house edge can be a little higher than on a standard version of the same slot, but for those going for glory, nothing beats the big progressives. Whilst some progressive slots will offer up the biggest prize to all players, others may only offer the full jackpot to players using the maximum stake amount per spin or perhaps those staking over a given total on each spin. Make sure you check the slot terms before getting involved as hitting the big one only to discover you are not eligible for it can be quite a blow, to say the least! With the advancement of technologies and the improved web design, programming and Internet connection, online slots are now dominating the industry. Slot machines in fancy Las Vegas or Macau casinos are undoubtedly popular but more and more people are now playing casino games over the web. It is much easier, cost-effective, and convenient and you can play your favourite slots while sitting comfortably in your living room. Playing slots on the go has also exploded in popularity in the past few years and by 2020, the mobile gaming industry it is expected to surpass $70 billion. An increasing number of mobile-only slots are now being released, while online casinos are eying mobiles, offering beautiful, responsive mobile sites, as well as convenient and widely available native apps. Mobile slots are not the future, they are already here, so if you look for the best casino experience, you may easily find it in your pocket.